Asleep at the Wheel: Should Long-Haul Truckers Be Tested for Sleep Apnea? Big truck crashes are on the rise in the U.S. Indeed, according to information released by the Federal Motor Carrier Safety Administration (FMCSA), large truck crashes resulting in injury increased some 21 percent during 2014, the last year for which full data is available. Some say the increase is due simply to the fact that more trucks are on the road. There has, after all, been an uptick in the economy. Others fear the increase is related to other, more insidious issues. Some transportation experts say sleep apnea is a serious health and safety issue affecting many long-haul truck drivers. Should drivers be tested? A study conducted by the University of Pennsylvania found that more than 28 percent of all commercial truck drivers suffer from mild to severe sleep apnea – a breathing-related sleep disorder that causes brief interruptions of breathing during sleep. Sleep apnea affects your sleep, but it has spillover effects on other activities. For example, it has been shown to affect a driver’s daytime alertness and performance. Left untreated, sleep apnea can make it difficult for a long-haul driver to stay awake. Reaction times are diminished. Generally speaking, studies have shown that drivers with untreated sleep apnea have an increased risk of being involved in a motor vehicle crash. Because the presence of one or more of the symptoms isn’t definitive for diagnosis purposes, most sleep doctors suggest that anyone who has at least two of the symptoms to undergo a sleep test at a sleep center. During the test, experts monitor sleep and breathing patterns. While studies show that people with obstructive sleep apnea are 2.5 times more likely to be the driver in an accident than people without the sleep disorder, the condition does respond well to treatment. Continuous positive airway pressure, or CPAP, therapy is quite effective at reducing the risks if the driver undergoes the therapy for an average of at least four hours every night. Truckers can live with sleep apnea. With treatment, they can help increase the chances that others on the highway can live, as well. It should be noted that FMCSA regulations do not specifically address sleep apnea. 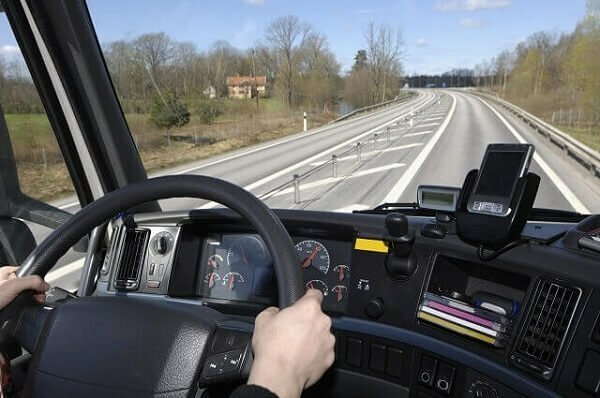 They do, however, say that any person with a medical history or clinical diagnosis of a condition likely to interfere with the ability to drive safely cannot be medically qualified to operate a commercial motor vehicle in interstate commerce. With appropriate treatment, most drivers should be able to regain their “medically qualified to drive” status. Each state sets its own medical standards for driving a commercial motor vehicle. Drivers and trucking companies should be familiar with the rules and regulations in their relative jurisdictions. Transportation litigation, including accidents where sleep apnea has been alleged, involves complex issues, specific and technical defenses, and can entail significant damage awards. It is important to retain experienced legal counsel who is comfortable and confident in that important specter of the commercial world. The Kerkman Wagner & Dunn, a Milwaukee business litigation firm has more than 50 years of combined legal experience representing business owners in Wisconsin. We are ready to assist you. Our firm has big firm talent and provides small firm attention. Call us at 414-278-7000 or complete our online contact form.